THE ART OF GAMING. 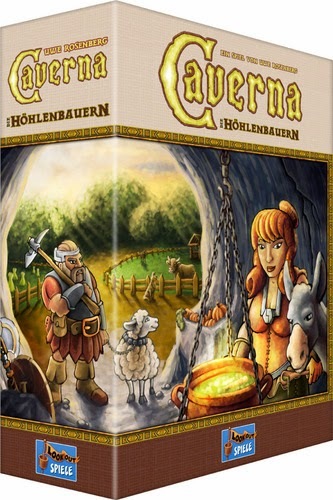 ((( a blog mainly about board-, miniature-, roleplaying games & comics. ))): hellboy 2. wake the devil. hellboy 2. wake the devil. 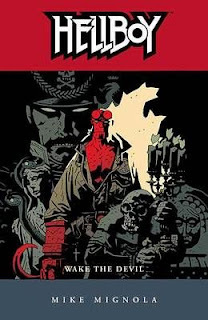 The second book in the Hellboy collection starts with a dead guy in a spooky museum in New York, where a wooden box with the label "Giurescu, Obejct 666" has been stolen. And that's the point where Hellboy and his colleagues from the Bureau for Paranormal Research and Defense start their investigations, wich are leading them to castles from the Middle Ages in Romania. There they have to fight a vampire, witches, undeads - and in the case of Hellboy, finally facing his own destiny. Hellboy's back in action with the BPRD-- in a full-scale mission to hunt the legendary nobleman vampire, Vladimir Giurescu, who is woken by the same newly defrosted Nazis seen in Hellboy: Seed of Destruction. The Bureau is walking into the biggest disaster in its fifty-year history! The Bureau for Paranormal Research and Defense. Sound like something out of the X-Files? Well, it's one better; it's Hellboy, the world's greatest paranormal investigator. A mysteriously conjured demon, he's essentially a big red guy who goes looking for trouble. The catch is that he's not really the best investigator; let's face it, he's no Agent Mulder. But Wake the Devil always manages to maintain its creepy edge, in no small part due to Mignola's art, which may seem familiar.